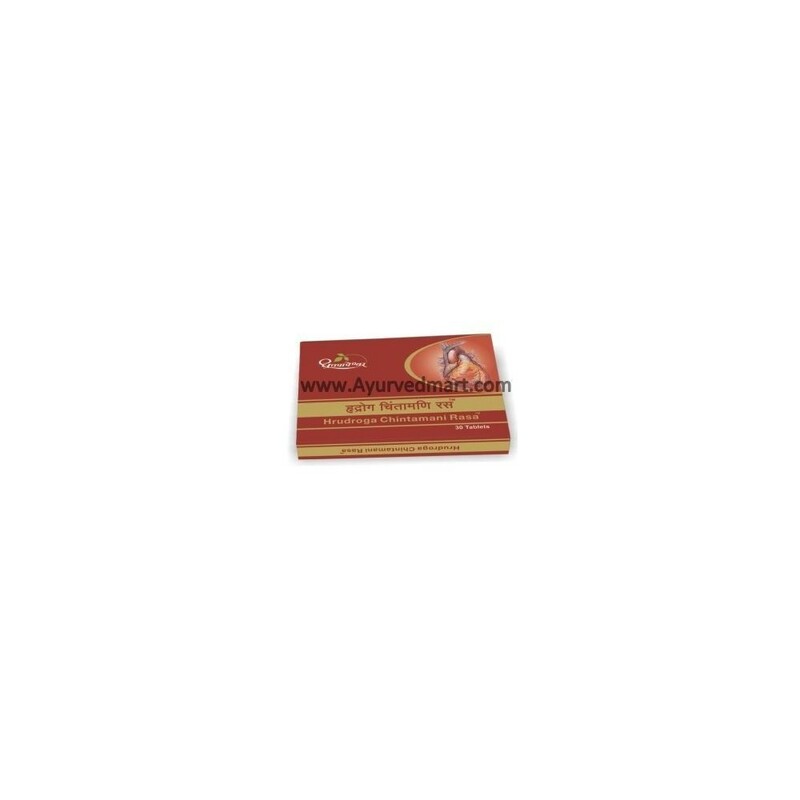 Hrudroga Chintamani Rasa, a unique formulation is very effective in the treatment of Heart diseases and related symptoms. It acts as a Cardio protective & Anti arrhythmic medicine providing strength to the heart muscles and maintaining heart rate. Contents like Jatamansi maintains Blood pressure, Dashamoola relieves Pain & Irregular cardiac rhythm & Manjishtha maintains blood optimum viscosity. Bruhat Vata Chintamani Rasa 10 mg, Akeek Pishti 30 mg Arjuna 20 mg, Jatamansi 20 mg, Manjishtha 20 mg, Abhraka Bhasma 20 mg, Poornachandrodaya Makardhwaj 30 mg Processed in Dashamoola Kwath q.s.